Our community has 3,116 members, 413 online now. We’ve published 9,780 stories, shared 8,327 images, made 10,348 blog posts and written 121,546 forum posts. A massive old Acacia abyssinica tree grew to one side of the house on the edge of a seasonal pond overlooking the valley and fields below. So much life happened in and around this beautiful tree and through the decades many milestones had been commemorated in the shade of its branches; weddings, christenings, memorial services and countless lunch parties. Children who had grown up climbing in it now watched their grandchildren clamber around those same branches. The stories that old tree could have told. 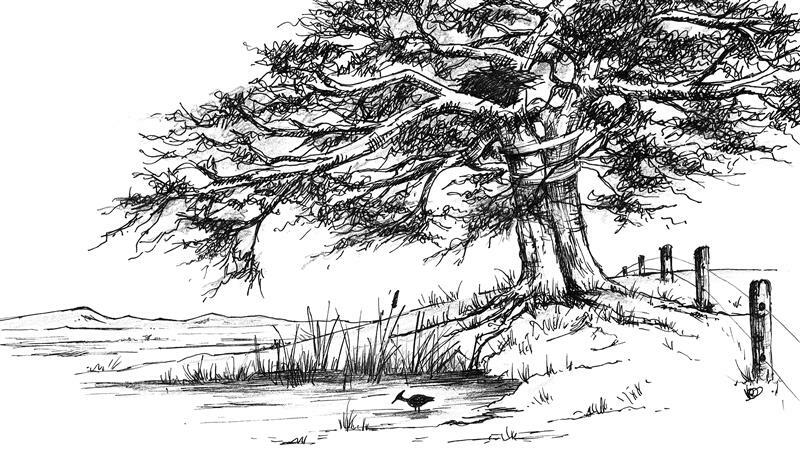 Over the years the tree had become home to many birds; hamerkops had a permanent nest, an untidy pile of sticks and mud in a fork of the branches, growing larger with each passing year. Hornbills and parrots had their holes, as did a colony of bees that worked themselves into a frenzy when the tree was covered in its puffy little cream flowers. Orchids, mosses, and ferns all grew along its branches. Genet cats hid in it by day and leopards visited it by night, marking their territory and leaving the bark scared by their claws. Monkeys stopped by to feast on seed pods and insects and butterflies danced amongst the blossoms. The vast branches spread out far from the trunk on all sides. The tree, in all its majestic glory, could be seen from several kilometers away, standing proud, lording over its surroundings. Over time, the weight of the branches had caused the trunk to start splitting, a couple had had to be cut off and lightening had struck it once. At some point, someone braced the trunk with a couple of 4" wide metal bands, bolted together like necklaces. As the tree came to the end of its life, there was great debate on what to do about it. Nobody wanted to cut it but should it or some branches fall, it could damage the house and put everyone in danger. The children were no longer allowed to play in its branches or enjoy the shade it gave. The seasonal pond had always acted as a catchment area during the rains, washing down all the animal and bird droppings and providing a constant source of nutrients and water for the tree to thrive on. After a couple of drought years, the tree was struggling. Then the rain started, flooding the parched earth, causing many trees already weak roots to fail and for them topple as a result. The pond returned and children and dogs ran and splashed and flicked mud at each other as the frogs and toads laid their eggs and performed raucously every night. But after such a long dry spell it was too much water for the old tree, the soil was unstable and waterlogged, and one night during a rainstorm, there was an almighty crash as the old tree toppled over into the hole. It has lain there ever since, the branches are still home to many and a whole new playground for the two and four legged creatures that still delight in the old dead trees continued role in the circle of life. Copyright © What you have read is the property of AriesDragon. Please don't copy any of it ... it's not cool.